For whatever reason, you are looking for a change. You may be tired and burnt out from the daily grind at your office job, you may be seeking more flexibility so you can spend more time at home with the family, you may be looking forward to retirement and realizing that in order to get where you want to be, something has to change. No matter your “why,” U.S. Lawns has a plan to help you reach your financial and lifestyle goals. Getting involved in landscaping and lawn care creates a rewarding career. Why? Because working in nature, enjoying the look and smell of green things, and creating something beautiful is more meaningful than working in an office. Plain and simple, working outdoors can make you happy. Landscaping is a huge industry—currently worth $88 billion—and growing. Becoming the owner of a landscaping franchise is a smart way to get your piece of this pie. Take a look at some of the ways this industry is thriving, especially for new franchise owners like you. Landscaping is an open market because no single company dominates the industry. 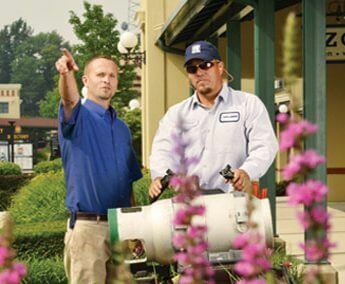 Even in cold climates, landscaping presents year-round opportunity with franchisees transitioning to snow and ice management during the winter months to keep their businesses thriving. Because grass and foliage grow continuously, this industry offers a lot of security. U.S. Lawns is the #1 commercial landscape maintenance franchise in the country, with more than 250 franchises in operation from coast to coast. The decision to focus on commercial customers is simple: larger customers create higher and more consistent revenue. Commercial customers need to keep their landscapes crisp, clean, and safe, and quality landscape maintenance is essential to that goal. That’s why U.S. Lawns has such an avid following among companies looking for commercial landscaping. Our customers enjoy a host of benefits from having well-maintained properties, and it is easy to see why! A beautiful landscape—as small as a parking strip or as big as a corporate campus—creates a friendly and safe environment that tenants and consumers love. As a result, well-kept landscapes yield 7% higher rental rates for commercial spaces. At U.S. Lawns, we have spent the last several decades building a business that appeals to commercial property owners and property management professionals across the United States. We have developed systems and tools that drive value to commercial landscaping franchise customers, which helps our franchise owners across the United States build a clientele. After more than thirty years, we have learned a thing or two about our business. Most of our lessons do not have to do with turf and lawn mowers, but with how to take care of our franchisees. Our brand offers more than 750 unique operational tools and training resources to those looking for landscaping and lawn care franchise opportunities. We built our brand on values and have remained a strong business by focusing on our employees, franchisees, customers and strategic partners. Add to that our relationships with hundreds of companies nationwide, and you can see that the decision to invest is a wise one. Setting up our franchisees with the proper tools to be good business owners is the key to keeping them satisfied. 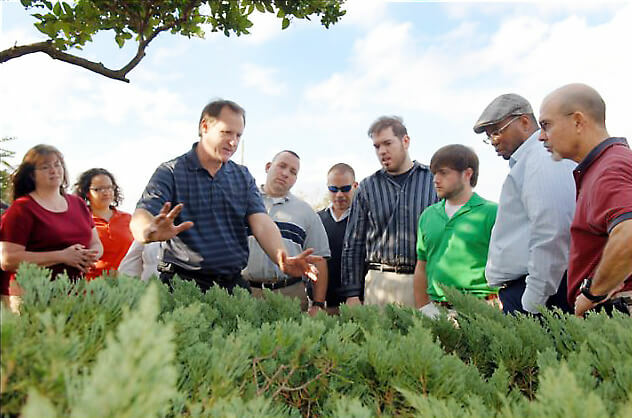 Our extensive training will show you how to use U.S. Lawns systems to build a strong business. Training fills in the blanks in your skills, making you well rounded and ready for anything. For example, if you have solid business skills but lack knowledge about landscaping, we will train you on how to keep your customers’ properties beautiful. Training is essential before you get started, but support is the most important thing we offer once your business is going. We are in your corner from the start, giving ongoing support and proprietary tools to help you through any issue or question you might have. An integral part of our support system is our network of franchise owners. Over 250 people across the United States have been in your position, and they are working to make their franchise locations better. Forge relationships with your fellow franchisees so that you have mentors, peers, confidants, and teachers to help you along your franchise journey. Our internal social media platform also allows franchisees to interact, communicate and share best practices in a digital environment. Business Professional – Leave your corporate job and work for yourself. For years—maybe for decades—you have worked for someone else, climbing the corporate ladder and earning a comfortable living. But for many of us, earning a living is not enough. The desire to own a business and be your own boss is embedded in the fabric of America and an essential part of the American Dream. Leaving your corporate job to invest in a U.S. Lawns franchise is more than just a leap of faith; it’s an investment in your family, your future, and your community. 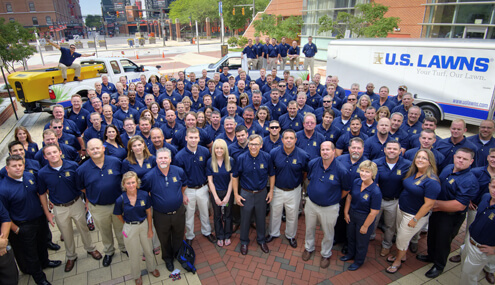 Veteran Opportunity – We are a franchise brand built on unshakable values. Whether you left the service ten months ago or ten years ago, U.S. Lawns can help you transition to life as a business owner. We know that there are hundreds of franchise opportunities for veterans, so we work hard to remain competitive. That is good news for our veteran franchisees because we have a lot to offer through incentives, company culture, and the training you need to succeed. Veterans who invest in U.S. Lawns bring a lot to our company, so we do everything we can to give back, including a $5,000 discount on our franchise fee. Landscaping Professional – Convert your business into a landscape franchise. Sometimes, small business owners can feel stuck in a rut. Trying to grow a business can be difficult without advice and assistance from someone who has been there before. Many of our franchise owners started out as small business owners looking for the tools to help them take their lawn care businesses further. 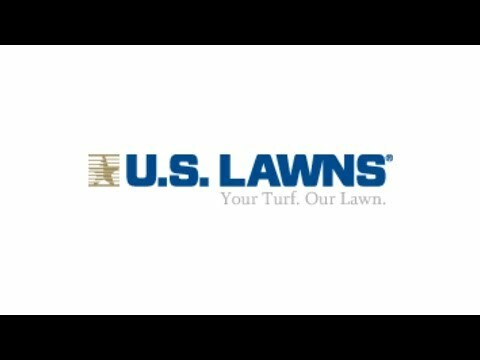 U.S. Lawns is currently accepting inquiries from the following states: Alabama, Alaska, Arizona, California, Colorado, Connecticut, Delaware, Georgia, Hawaii, Idaho, Illinois, Indiana, Iowa, Kansas, Kentucky, Louisiana, Maine, Maryland, Massachusetts, Michigan, Minnesota, Mississippi, Missouri, Montana, Nebraska, Nevada, New Hampshire, New Jersey, New Mexico, New York, North Carolina, North Dakota, Ohio, Oregon, Pennsylvania, Rhode Island, South Carolina, South Dakota, Tennessee, Texas, Utah, Vermont, Virginia, Washington, Washington, D.C., West Virginia, Wisconsin, Wyoming.